- Circa 1969. 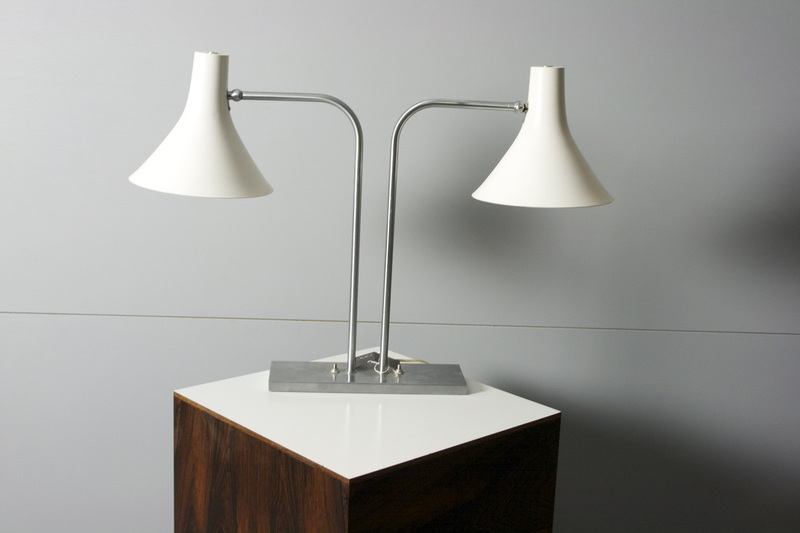 Hand formed aluminum table lamp painted in original white enamel designed by Dario Tognon for Artemide. Amazing!